Tetra Tech was contracted by Carson Marketplace, LLC to design, construct, and operate remedial systems in preparation for development of the former Cal Compact landfill (Site) located in the City of Carson. The Site comprises approximately 157 acres of land and consists of five separate landfill cells. The project involved a multi-component cap system including an impermeable geomembrane following soil compaction and installation of a landfill gas collection system. 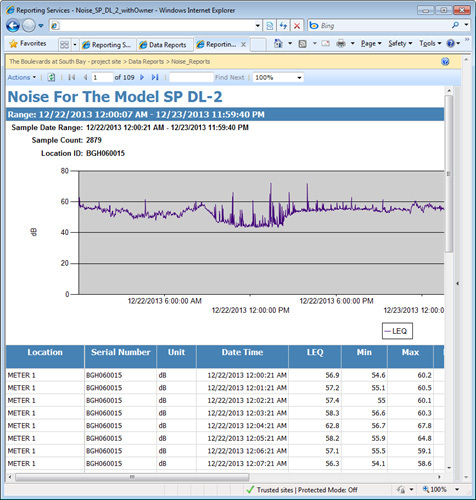 Tetra Tech developed a SQL Server 2008 database to store various data collected, including noise, dust, soil chemistry, and air quality. Tetra Tech wrote software for the sampling equipment, lightweight mobile computers (Honeywell Dolphin), a custom webservice for uploading data into SQL Server and a custom .NET C# program, running in background, which imports the data into various SharePoint tables. Tetra Tech also developed reports, hosted from SQL Server Report Services, which automatically generate PDF files that are made publicly available, for stakeholders and regulators.